Hello everyone! My first triathlon is inching closer and closer. It's less than a month away. Gasp! I know I'll never be prepared enough, but really, I'm getting more antsy as the days seem to speed by. 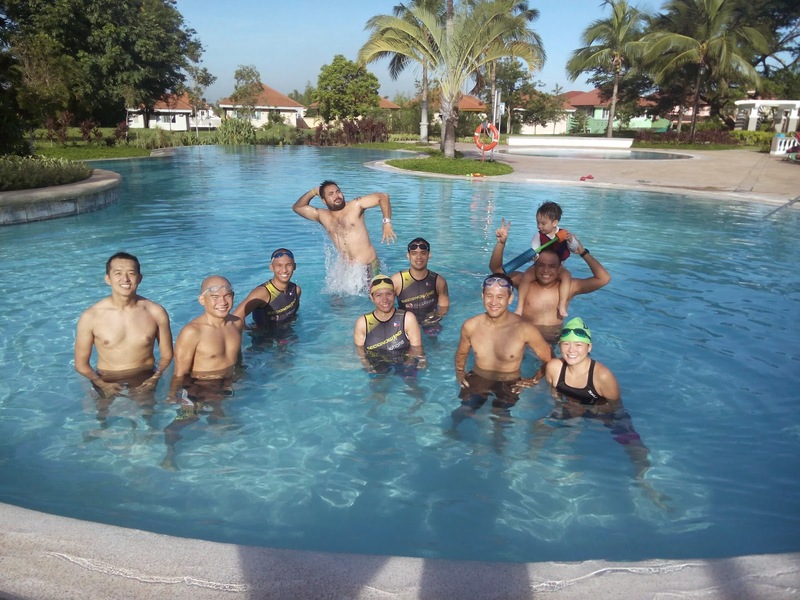 While I do get some pool time, a little bike time, and so-so run time, I didn't realize the full gravity of what I signed up for until our triathlon simulation with our teammates last weekend. But lo, came swim simulation time, and all sanity, technique, poise, and training miles logged flew out of the window pool. It's so hard to try to stay calm, swim, and not drown while jostling and fighting for space and trying to stay in zen with 8 other guys (all competent swimmers, I'll say) in the pool. I almost literally forgot how to swim! :( And we are talking about just 8 guys here. How much more come race day? I'll be fighting tooth and nail for pool space with very able-bodied triathletes. You see, the problem is not exactly the distance. I can go the distance. But going the distance while someone is kicking your face and hitting your shoulders swimming in front of you, a few others by your side, maybe a couple or two inadvertently swimming over you, plus the many others generating a washing machine-esque turbulence around you -- that's the real challenge. Whew, just thinking about it makes my heart race so fast again. I guess I just gotta do what I got to do, log in the miles, get as much pool time as I can, and swim laps with minimal rest. That, or I got to devise my own way on how to grow some fins and gills.